2 Graz University of Technology Institute for Process and Particle Engineering, Graz, Austria. This special issue of IJPE with theme on Balancing Technology, Environment and Life Styles is a collection of selected and peer-reviewed papers that were presented in the third edition of the Sustainable Development Symposium – SDS2013, held in Naples (Italy), on 13-15 February 2013. The theme of the Symposium was Sustainable Development in its broader perspective and the papers presented here focus on different aspects of Sustainable Development, viz., methodological, biological, technological and environmental. Sustainability and sustainable development are among the most used and appealing terms, but also have been misunderstood and sometimes misused during the last several decades. A Google search on terms like sustainable development and sustainability would yield over 152 and 42.6 million results, which is indicative of immense interest in these areas world over particularly in the academic and in the business and policy sectors. Some believe sustainability be a steady climax state, achieved once for ever; some point out dynamics of oscillating sustainability, with phases of growth and descent; others deny sustainability can be achieved, except for a short period and under given circumstances; finally, others claim and foresee sustainable processes, although within unsustainable societies and lifestyles. The objective of SDS2013 was not to elaborate various aspects of such a controversial and hot topic, but "to raise awareness, more specifically on linking technological innovations, environmental stewardship and sustainable lifestyles." Likewise, the objective of this special issue carved out of the updated and reviewed papers presented at the SDS2013 is to present some aspects of technological development that may help improve the standard of living and the quality of life of modern society. To achieve the goal of sustainable development, technologies must essentially be environmental friendly, socially acceptable and economically viable (create jobs, distribute benefits, help eradicate poverty). Such a goal can be achieved by promoting investments in innovative and clean technologies and services as well as be consistent with the changes in lifestyles. Over the pathway towards a more sustainable state, the relationship between actions promoting sustainability and technological innovation is not unambiguous and calls for accurate assessment of benefits and costs. Most of the papers contributed to this Special Issue are therefore interdisciplinary, systems oriented and technologically innovative. Methods of life cycle assessment, energy and material flow accounting, remote sensing and geographical information systems, are used in these papers to assess progresses towards more sustainable technologies, eco-efficient and circular processes, decreased pollution, and more appropriate use of resources through recycling and reuse. By pointing out the existing links between production and consumption, resource use and recovery, policies and industrial development, these papers confirm the perception that sustainability calls for the ability to identify and manage the complex dynamics of modern societies, with globalized resources and burdens. In the first paper, Is Eco-Efficiency Enough for Sustainability?, Marco Menoni and Hermes Morgavi address environmental sustainability issues in the private industrial sector, focusing on concepts of eco-efficiency and eco-effectiveness, by means of a factor analysis approach. Physical limits to eco-efficiency, within a linear cradle-to-grave approach, are highlighted, and a circular cradle-to-cradle approach is suggested. Three different industrial strategies are assessed: two of them still rely on eco-inefficient production technologies while the third approach privileges investments in R&D and more efficient production technologies in order to generate less waste and less GHG emissions. In the second paper of the issue, viz., Recycling Waste Cooking Oil into Biodiesel: A Life Cycle Assessment, Ripa et al. address the problem of recovery and recycling of used cooking oil from restaurants and households. The Authors provide insights into Integrated Waste Management (IWM), based on a case study in Campania Region (Italy). While assessing the environmental effectiveness of WCO to biodiesel conversion, the authors also identify hotspots throughout the entire production chain and suggest some potential improvements. In the third paper, by Wiesen et al., viz., Calculating the Material Input per Service Unit using the Eco-invent Database, the authors attempt to compare life cycle Assessment (LCA) and material flow accounting, under both theoretical and applied perspectives. The authors argue that the use of LCA databases (providing inventory data as well as resource and emission profiles of processes for impact assessment methods like ReCipe or IMPACT 2002+) for input oriented environmental assessment is very limited as they only cover a fraction of all relevant input flows. There are several challenges to be faced and the paper makes first propositions for the integration of MIPS (Material Input per Service Unit) into the LCA database Ecoinvent. In the fourth paper, Microbial Fuel Cells in Waste Treatment: Recent Advances, R. Nastro reviews the state-of-the-art of an innovative technology for bioconversion of waste into electricity, pointing out the growing interest about Microbial Fuel Cells (MFCs) technology, worldwide. According to the author, MFCs could present a cost-effective low-energy waste treatment procedure and potentially reduce waste treatment costs while providing an advantage of less environmental impacts, although the existing technological limits do not permit its large-scale application. The fifth paper by E. Conway provides a critical overview of governmental support policies to business in Assessing Sustainability Support to Small and Medium Sized Enterprises (SMEs). As the sustainability agenda develops, the need for more sustainable economic growth of SMEs becomes quite challenging for policymakers. The paper qualitatively evaluates the impact of sustainability support policies to Small and Medium Sized Enterprises (SMEs), highlighting that most often SMEs are unable to quantitatively evaluate the benefits received from support programmes because benefits occur in the project planning stage or companies have limited access to financial data. The evidence of an accelerated rate of energy and material consumption both in extensive terms (increasing population) and intensive terms (higher consumption per capita) is addressed by Z. Kovacic in the sixth paper, viz., Assessing Sustainability: The Societal Metabolism of Water in Israel". The paper uses the MuSIASEM approach (Multi-Scale Integrated Assessment of Societal and Ecosystem Metabolism) to assess, on one hand, the feasibility of the current water consumption rate with relation to ecosystem constraints and, on the other hand, to relate water consumption to human production and consumption activities (societal water metabolism). The need for sustainable environmental planning to face global environmental change is the topic addressed by Deafalla et al., in the seventh paper, Analysis of Environmental Change Dynamics in Arid and Semi-Arid Climatic Zones. Remote sensing and geographic information system (GIS) are used as tools for the understanding of landscape dynamics and human-environment interaction in the broader context of sustainable and scientific management of resources. Based on a case-study in Sudan, the authors prove the great potential of coupling post change detection (PCD) techniques and multi-temporal optical remotely sensed data. The minimization of impacts of petroleum hydrocarbons (among the most common sources of persistent organic contaminants affecting environment and human health) is dealt with by Nastro et al., in the eighth paper, viz., Bioremediation Process Efficiency for Polycyclic Aromatic Hydrocarbons through Ecotoxicological Tests. By means of an ecotoxicological approach, the authors assess the efficiency of an in-batch bioremediation process in reducing environmental toxicity of a soil sample polluted by Polycyclic Aromatic Hydrocarbons (PAHs). The ninth paper, viz., Re-use of Agro-industrial Waste: Recovery of Valuable Compounds by Eco-friendly Techniques, by Taurisano et al., reviews the applications (from literature and own case studies) of the biorefinery concept on organic waste from industrial processing of tomato and lemon, among the most abundant vegetable substrates from Italian agro-industry. According to the biorefinery concept, waste, by-products and effluents from agro-industrial production can be used as raw materials for the production of high value-added platform chemicals, by means of innovative chemical techniques. The benefits of avoided environmental impacts all over the agro-industrial production chain when shifting from conventional chemical fertilizers to "green" fertilizers are pointed out by Zucaro et al., in the last paper, Life Cycle Assessment of Maize Cropping under Different Fertilization Alternatives: by applying Life Cycle Assessment to selected case studies of corn production. The importance of yield as well as of an optimization of the fertilizers supply chain are stressed by the Authors, with the aim of preserving soil organic matter and reducing mineral N fertilizers application and their environmental effects. Each paper included in this special issue has been refereed at least by two reviewers and revised based on comments received from the referees besides the Guest Editors. Each paper of this special issue aims to suggest a step forward towards more sustainable technologies and systems, with topics complementing each other, requiring systems views, innovation and environmentally concerned policies. The present environmental, economic, social and governance problems are really huge and urgent. The planet and its subsystems are complex and require creativity and availability to test new ways. The present generation of researchers faces the challenge to cope with these problems and to design solutions. Such a task cannot be carried out by individuals in isolation, but instead requires connectivity, broad minds, independence and shared motivations. Maddalena Ripa received her Bachelor's Degree in Biology in 2006 from University "Federico II" of Naples, Italy. Later in 2008, she earned her Master's Degree in Biological Sciences (with honors) from University "Federico II" of Naples, Italy. 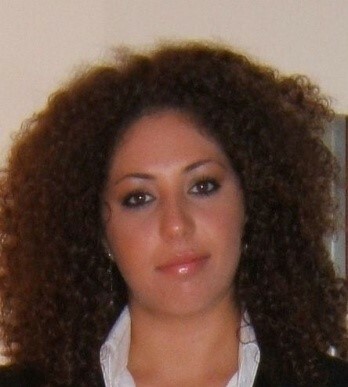 She was awarded her Ph.D. in Environment, Resources and Sustainable Development at the Department of Sciences and Technologies of Parthenope University of Naples, Italy (2014). She gained expertise in Life Cycle assessment (LCA), Urban Waste Management, Geographic Information Systems (GIS), Biomass conversions, Emergy Accounting. Her present research activity deals with (i) integrated approaches for environmental sustainability assessment and (ii) their application to bioconversions processes and waste management. She is author of several peer-reviewed papers in international and national journals and conference proceedings. 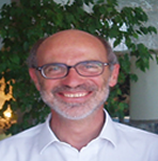 Sergio Ulgiati is Professor of Life Cycle Assessment and Environmental Certification. Education in Physics and Environmental Chemistry. Expertise in Energy Analysis, LCA, Environmental and Emergy Accounting, Sustainability Indicators. His LCA and environmental assessment activities cover a large number of technological applications: agro-industrial and urban waste management; biorefineries for energy and platform chemicals; renewable and nonrenewable energy systems (in particular, biofuels; solar thermal and photovoltaic modules; hydrogen and fuel cells; thermal fossil-powered power plants); sustainable transport; food production; urban systems. Visiting professor in USA, Brazil, China. Member of the Editorial Boards of "Energy", "Ecological Modelling", and "Environment, Ecosystems and Sustainability". Chief Editor of the Journal Environmental Accounting and Management. Founder and Chair of the series of Biennial International Workshops "Advances in Energy Studies". Member of evaluation panels of the European Union for the selection of projects in the fields of energy and environment, within the 5th, 6th and 7th R&D Framework Programmes. 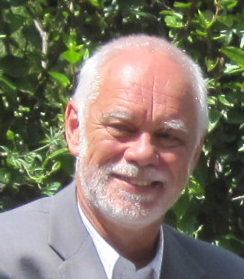 Hans Schnitzer is Professor for Process Engineering at Graz University of Technology. He is engaged in the transfer of sustainability approaches from research to business and politics since more than 15 years. In his work, he is targeting at Zero Emission processes and the use of renewable resources in production. In the field of energy he performs research on 100% renewable energy systems in companies, but also in national and regional systems. Within international projects he is engaged in Middle East and Mediterranean Countries, Uganda and Vietnam. Education in Chemical Engineering at the University of Technology in Graz/Austria. Professor for Fundamentals of Process Engineering and Energy Technologies. He expertises in Cleaner Production, Energy Efficiency and the utilization of renewable sources for materials and energy. Member of the Austrian Panel on Climate Change (APCC), expert for UNIDO in Low Carbon projects. Scientific leader of the demonstration project "Smart City Graz". Member of the Editorial Boards of "Journal Environmental Accounting and Management" and "Journal of Cleaner Production".